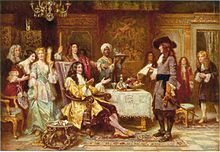 In 1681, King Charles II handed over a large piece of his American land holdings to Penn to pay the debts the king owed to Penn's father. This land included present-day Pennsylvania and Delaware. Penn immediately set sail and took his first step on American soil in New Castle (now in Delaware) in 1682 after his trans-Atlantic journey. On this occasion, the colonists pledged allegiance to Penn as their new proprietor, and the first general assembly was held in the colony. Afterward, Penn journeyed up the Delaware River and founded Philadelphia. However, Penn's Quaker government was not viewed favorably by the Dutch, Swedish, and English settlers in what is now Delaware. They had no "historical" allegiance to Pennsylvania, so they almost immediately began petitioning for their own assembly. In 1704 they achieved their goal when the three southernmost counties of Pennsylvania were permitted to split off and become the new semi-autonomous colony of Lower Delaware. As the most prominent, prosperous and influential "city" in the new colony, New Castle became the capital. Penn returned home for the extraordinary splendor of the King's restoration ceremony and was a guest of honor alongside his father, who received a highly unusual royal salute for his services to the Crown. Though undetermined at the time, the Admiral had great hopes for his son's career under the favor of the King. Back at Oxford, Penn considered a medical career and took some dissecting classes. Rational thought began to spread into science, politics, and economics, which he took a liking to. When theologian John Owen was fired from his deanery, Penn and other open-minded students rallied to his side and attended seminars at the dean's house, where intellectual discussions covered the gamut of new thought. Penn learned the valuable skills of forming ideas into theory, discussing theory through reasoned debate, and testing the theories in the real world. 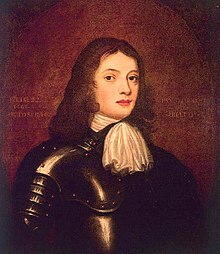 With his father laid low by gout, young Penn was sent to Ireland in 1666 to manage the family landholdings. While there he became a soldier and took part in suppressing a local Irish rebellion. Swelling with pride, he had his portrait painted wearing a suit of armor, his most authentic likeness. His first experience of warfare gave him the sudden idea of pursuing a military career, but the fever of battle soon wore off after his father discouraged him, "I can say nothing but advise to sobriety...I wish your youthful desires mayn't outrun your discretion." While Penn was abroad, the Great Fire of 1666 consumed central London. As with the plague, the Penn family was spared. But after returning to the city, Penn was depressed by the mood of the city and his ailing father, so he went back to the family estate in Ireland to contemplate his future. The reign of King Charles had further tightened restrictions against all religious sects other than the Anglican Church, making the penalty for unauthorized worship imprisonment or deportation. The "Five Mile Act" prohibited dissenting teachers and preachers to come within that distance of any borough. The Quakers were especially targeted and their meetings were deemed undesirable. As Penn became homeless, he began to live with Quaker families. Quakers were relatively strict Christians in the 17th century. They refused to bow or take off their hats to social superiors, believing all men equal under God, a belief antithetical to an absolute monarchy which believed the monarch divinely appointed by God. Therefore, Quakers were treated as heretics because of their principles and their failure to pay tithes. They also refused to swear oaths of loyalty to the King believing that this was following the command of Jesus not to swear. The basic ceremony of Quakerism was silent worship in a meeting house, conducted in a group. There was no ritual and no professional clergy, and many Quakers disavowed the concept of original sin. God's communication came to each individual directly, and if so moved, the individual shared his revelations, thoughts or opinions with the group. Penn found all these tenets to sit well with his conscience and his heart. In 1669,  Penn traveled to Ireland to deal with many of his father's estates. While there, he attended many meetings and stayed with leading Quaker families. He became a great friend of William Morris, a leading Quaker figure in Cork, and often stayed with Morris at Castle Salem near Rosscarbery. Despite heavy pressure from Howel to convict Penn, the jury returned a verdict of "not guilty". When invited by the judge to reconsider their verdict and to select a new foreman, they refused and were sent to a cell over several nights to mull over their decision. 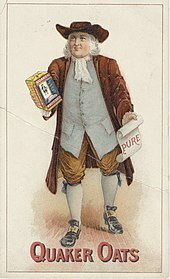 The Lord Mayor then told the jury, "You shall go together and bring in another verdict, or you shall starve", and not only had Penn sent to jail in Newgate Prison (on a charge of contempt of court for refusing to remove his hat), but the full jury followed him, and they were additionally fined the equivalent of a year's wages each. The members of the jury, fighting their case from prison in what became known as Bushel's Case, managed to win the right for all English juries to be free from the control of judges. This case was one of the more important trials that shaped the concept of jury nullification  and was a victory for the use of the writ of habeas corpus as a means of freeing those unlawfully detained. The old man had gained respect for his son's integrity and courage and told him, "Let nothing in this world tempt you to wrong your conscience." The Admiral also knew that after his death young Penn would become more vulnerable in his pursuit of justice. In an act which not only secured his son's protection but also set the conditions for the founding of Pennsylvania, the Admiral wrote to the Duke of York, the successor to the throne. In 1684 Penn returned to England to see his family and to try to resolve a territorial dispute with Lord Baltimore. Penn did not always pay attention to details and had not taken the fairly simple step of determining where the 40th degree of latitude (the southern boundary of his land under the charter) actually was. After he sent letters to several landowners in Maryland advising the recipients that they were probably in Pennsylvania and not to pay any more taxes to Lord Baltimore, trouble arose between the two proprietors. This led to an eighty-year legal dispute between the two families. Penn's Philadelphia continued to thrive, becoming one of the most populous colonial cities in the British Empire, reaching about 30,000 by the American Revolution, and becoming a center of commerce, science, medicine, and politics. New groups of immigrants in the 18th century included German-speaking peoples and Scots-Irish. A bronze statue of William Penn by Alexander Milne Calder exists on top of Philadelphia's City Hall. When installed in 1894, the statue represented the highest point in the city, as City Hall was then the tallest building in Philadelphia. Urban designer Edmund Bacon was known to have said that no gentleman would build taller than the "brim of Billy Penn's hat". This agreement existed for almost 100 years until the city decided to allow skyscrapers taller to be built. In March 1987, the completion of One Liberty Place was the first building to do that. This resulted in a " curse" which lasted from that year on until 2008 when a small statue of William Penn was put on top of the newly built Comcast Center. The Philadelphia Phillies went on to win the 2008 World Series that year. ^ , Hicks, Elias. " A Defence of the Christian doctrines of the Society of Friends: being a reply to the charge of denying the three that bear record in heaven" (1825), pp. 35–37: "This conclusive argument for the proof of Christ, the Saviour's, being God, should certainly persuade all sober persons of my innocence, and my adversaries malice. He that is the everlasting Wisdom, Divine Power, the true Light, the only Saviour, the creating Word of all things, whether visible or invisible, and their upholder, by his own power, is, without contradiction God – but all these qualifications, and divine properties, arc by the concurrent testimonies of Scripture, ascribed to the Lord Jesus Christ; therefore, without a scruple, I call and believe him, really to be, the mighty God.